Do you have an Android phone or one that uses Google Play for apps and games? Then I would recommend you download the app called Google Opinion Rewards. Every so often it will have a short survey for you to answer. Each survey is worth a small amount. It adds up quickly. 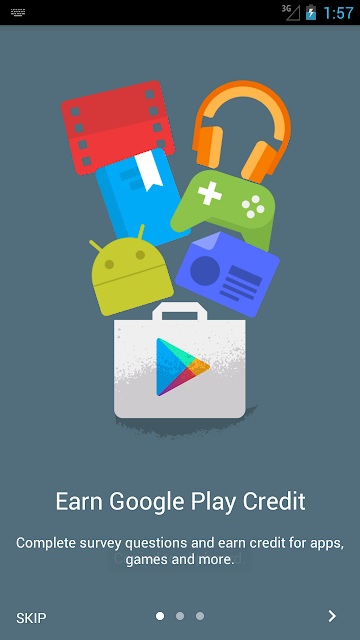 You can then use the credits on your favorite apps. Believe me, it works and I have bought some in game items. Who doesn't love freebies? These surveys are quick and won't take up your time. I'm saving up my credits for Goat Simulator...this is not my pick. For some reason my son keeps asking for it.